PRODEV’s mission is to develop, manage and support schools and centers in underserved communities. They have a holistic view of the educational process and strongly believe that community building and engagement are essential to building and sustaining schools of excellence. 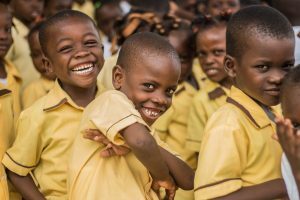 Since 1995, PRODEV has supported more than 5,000 families through their education, community and rehabilitation programs. Tell us a little on your relationship with SAS? 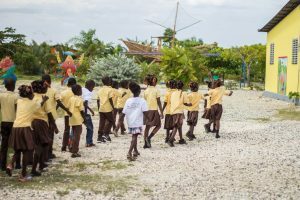 We first met SAS with a playground project for the children of IMUA and of Bois Neuf in Cite Soleil. Working with SAS means having a partner who includes you in the decision making process and believes in operating with total transparency. Also, we are extremely proud of the fact that they are young Haitian and Haitian American professionals who engaged themselves in meaningful efforts to support local development and philanthropic endeavors. 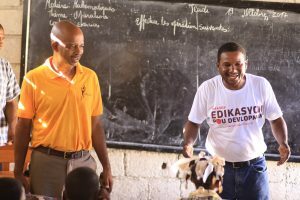 What’s your personal philosophy on what should be done about Education in Haiti? 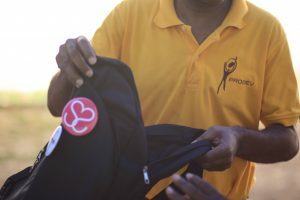 Our organization’s name is Fondation Progres et Development, which reflects the essence of our philosophy on education. 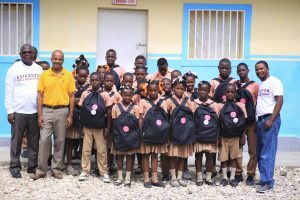 Education to us is an integral part of Haiti’s long-term sustainability. The children coming through our programs are equipped with quality education and armed with the core values that will make them one-day nation-building citizens.